Indian frankincense is used for osteoarthritis, rheumatoid arthritis, joint pain (rheumatism), bursitis, and tendonitis. Other uses include ulcerative colitis, abdominal pain, asthma, hay fever, sore throat, syphilis, painful menstruation, pimples, and cancer. Indian frankincense is also used as a stimulant, to increase urine flow, and for stimulating menstrual flow. Indian frankincense is a tree that is native to India and Arabia. It is commonly used in the traditional Indian medicine, Ayurveda. Olibanum is another word for frankincense. It refers to a resin or "sap" that seeps from openings in the bark of several Boswellia species, including Boswellia serrata, Boswellia carterii, and Boswellia frereana. Of these, Boswellia serrata is most commonly used for medicine. In manufacturing, Indian frankincense resin oil and extracts are used in soaps, cosmetics, foods, and beverages. The resin of Indian frankincense contains substances that may decrease inflammation. 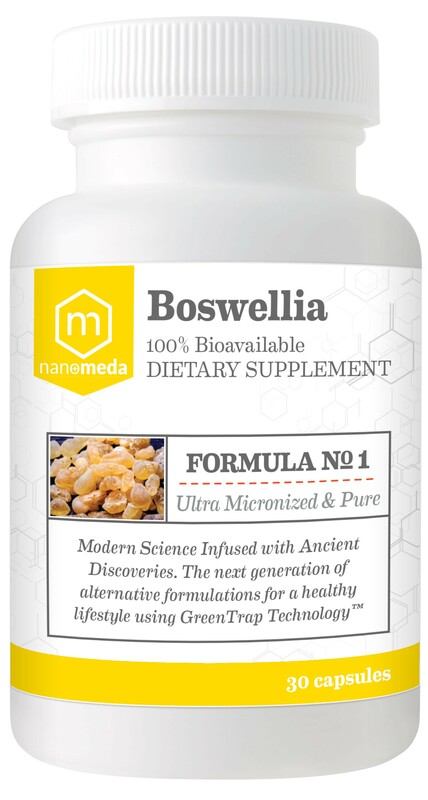 Our formulation is 100% bioavailable and is in combination of boswellia with turmeric to give maximum effects.